Should tomorrow seem pretty quiet at the office, it’s probably because several employers have caved into demands to give workers the day off in light of the impending heat expected across most of the country. 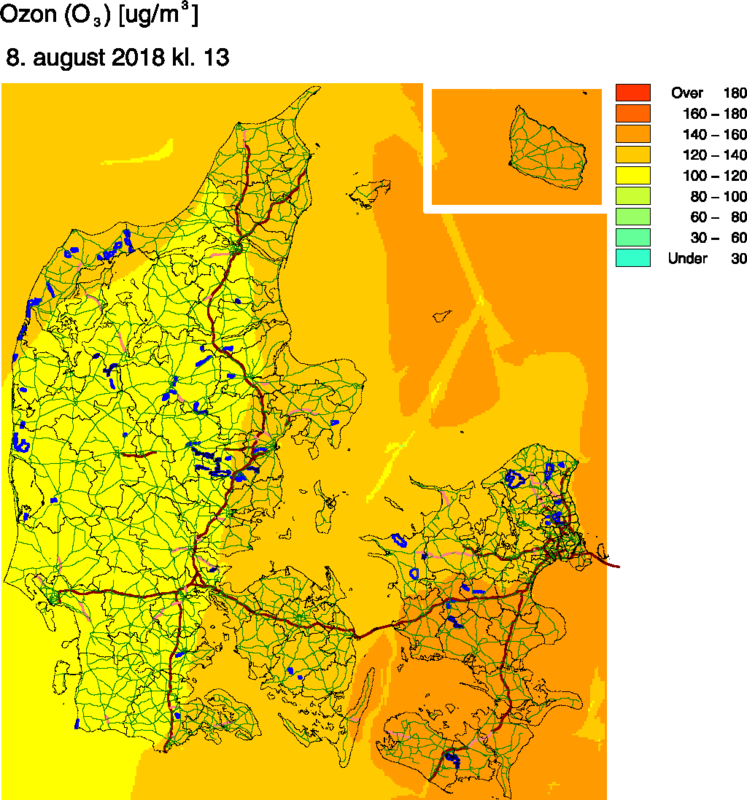 While the all-time record of 36.4 degrees looks safe for now, southeast Denmark is expecting temperatures of 35 degrees, while thermometers will most likely reach 34 in the capital region, making Wednesday August 8 the hottest day of the year so far. 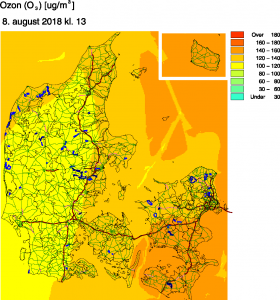 The employees have a strong case as many people could encounter respiratory difficulties if they overdo it in the heat, and southeast Denmark will be the worst affected, with the capital region also in the firing line (see below). According to DCE – Nationalt Center for Miljø og Energis, ozone concentration levels will reach 140-160 micrograms per cubic metre tomorrow – anything over 180 would require the Miljøstyrelsen environment authority to inform the public of the potential dangers. 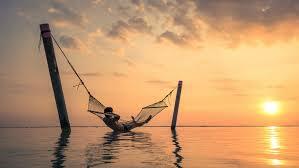 A normal concentration is between 50 and 100 micrograms. Strong winds are bringing the ozone concentrations northwards from France, which has been dealing with high levels (190-220 micrograms) for almost two weeks now, while ozone levels are also boosted near the ground by the release of organic substances and nitrogen oxides under sunlight and high heat. The French public have been warned about reining in strenuous physical activity, driving speeds and barbecues, and to watch out for symptoms such as coughing, increased mucus production, a dryness of the throat, fatigue, chest pain, headaches and nausea. Relief from the heat on a walk around sunny Copenhagen can often be found on a breezy canal tour – an excellent way to appreciate the beauty of the capital, many agree. But later this month, tourists might be left disappointed, as a strike over “unfair working conditions” looks likely to disrupt services for a while. Employees are arguing for a pay rise believed to be around 18 percent and better working conditions – particularly pertaining to breaks, toilets and holiday pay. Negotiations between employers and staff representatives collapsed on Monday, and on Tuesday morning the HK union sent the companies Canal Tours and Strömma an intention to strike notice. The strike could therefore begin in 14 days’ time on Tuesday August 21. The North Grow Cannabis Expo 2018, which is scheduled to take place at Bella Center from September 7-9, looks set to be the Nordic region’s biggest yet expo on cannabis and hemp. Given Copenhagen Municipality’s stance on being in favour of legalising cannabis – in stark contrast to the current government – and the ongoing sales of medicinal cannabis as part of a four-year trial (since January 2018), the organisers could not have picked a better place to stage the gathering. The expo will feature exhibitors, speakers, debates and entertainment. Australia’s original teeny-bopper sensation Kylie Minogue, now fully 50 years old, is returning to perform in Copenhagen for the first time in three years. She will be appearing at the Opera House on November 23, and ticket sales begin at ticketmaster.dk on Friday August 10 at 10:00, with prices starting at 450 kroner. Elsewhere, among the other recently announced concerts are Manowar (Valby Hallen; April 1; 655kr), Jason Mraz (Feb 28; KB Hallen; 380kr), Slaves (Oct 9; Lille Vega; 160kr), Svenske Graveyard (Pumpehuset; Nov 10; 250kr), and HammerFall (Pumpehuset; Oct 19; 280kr).